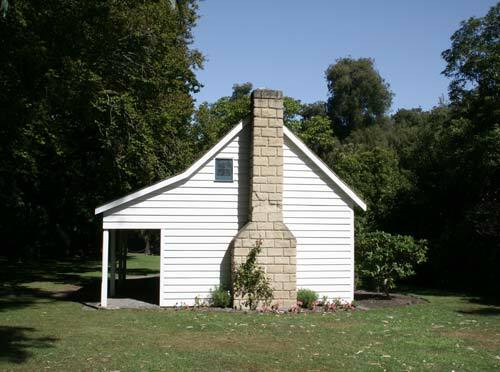 Deans Cottage at Riccarton in Christchurch is a relic of early European settlement in Canterbury. Brothers John and William Deans established a farm at the site, then known as Putaringamotu, in 1843. They built this modest cottage from timber cut in the nearby bush, part of which also survives.